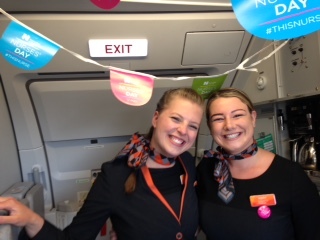 As I settled into my seat on the flight to Belfast last weekend, I overheard one of the cabin crew report to the captain: ‘we have a plane full of nurses’ The captain wished the passengers a good conference and, as we exited, the back of the plane was decorated with ‘nurses day’ bunting. Some might have been reminded of the similarities between nurses and cabin crew from the ‘emotional labour’ research reported by Arlie Hochschild, Pam Smith and others (see http://isa-global-dialogue.net/emotional-labor-around-the-world-an-interview-with-arlie-hochschild/ ). 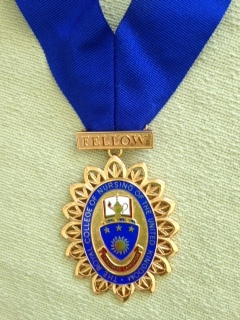 I attended the Congress opening ceremony to receive a Royal College of Nursing Fellowship. The event was a wonderful celebration of the value of nursing and of the contribution of individual nurses, punctuated by some great Irish dancing and music. It was wonderful to share the event with family and to meet again nurse colleagues I hadn’t seen for a while. I had the chance to thank Martin Bradley for his inspirational leadership of our nurse education programme at the Royal Victoria Hospital in the early ‘80’s. It was also a thrill to stay at the Europa hotel (see https://www.irishtimes.com/life-and-style/people/life-goes-on-at-the-most-bombed-hotel-in-the-world-1.2901861 ). A fellow passenger in the airport queue told me that, during ‘’the Troubles’, a Europa manager had carried out a bomb left in the hotel. If this is true, it was a heroic deed that spared the hotel one of many explosions. Courage was but one of the qualities on my mind as I left China last week. I had much to reflect on and to be grateful for. 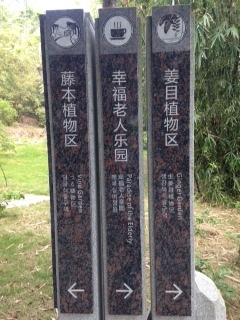 One of Professor Fang’s graduate students – Liangwen Zhang – shared their research with elders in Xiamen: whereas elders with less resources and more children lived with family (86.37%), those who lived in rural areas, with higher levels of education and disability availed of community/day care (10.77%) or ‘institutional care’ (2.86%). The team’s research relating to the ‘supply’ of services revealed low service quality. We agreed that there are common themes across cultures and much potential for collaborative research. One of the ‘lessons’ drawn from Leland’s ‘Happiness’ book I referred to last week is the potentially toxic impact on relationships of keeping a mental balance sheet as to who owes who what. The rationale for such a balance sheet is understandable – we want to ensure that we are considered neither mean nor exploitative, neither lacking in hospitality nor thought to be extravagant. Do you keep a mental balance sheet of your giving and receiving? Do you fear that you will be labelled Scrooge or Show-off? Should you care? Why? Alex is an anthropologist I met in Xiamen, who leads a post-graduate module on ‘gift-giving’. He told me that in Chinese culture, people do keep a balance sheet to ensure that they reciprocate appropriately at special events such as weddings and funerals. It is not unusual for people to allocate 10 to 20% of their income to gift-giving. The relationship between generosity and gratitude is of much interest, particularly in a period when I have so much to be grateful for, and have been on the receiving end of so much generosity. Few, if any, of us can claim to get to our middle years without having gained from the generosity of many. We have much to be grateful for when we are doing what we care about and have been helped on our journey by supportive colleagues, family and friends. As always, I’d welcome your thoughts on your ‘giving and receiving mental balance sheet’ and on the editorial. A report from Kyoto next week.